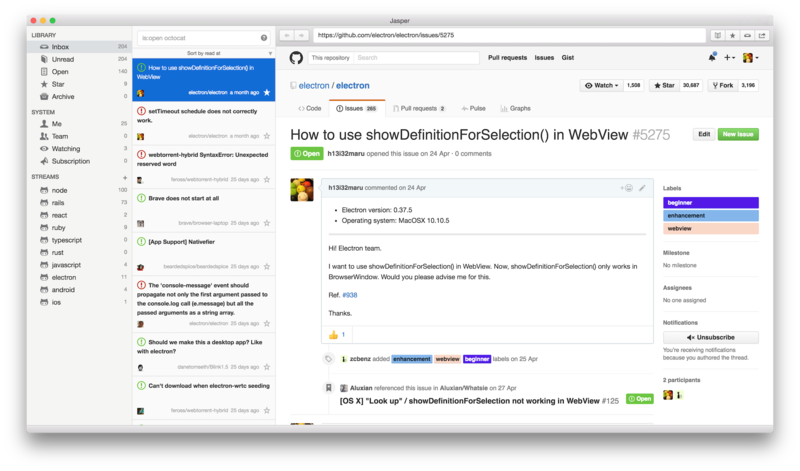 Jasper is the issue reader for GitHub/GHE. This is similar to e-mail client or RSS reader. You can read/unread management, mark star, archive issues and etc. Jasper provides the core feature called "Stream" in order to realize operation same as these client. I will explain how to use the Stream this time. Before how to use the "Stream", I will explain how to use "System" feature that is created automatically with Jasper. Basically you just check the System, I think that you does not miss issues related to their own. 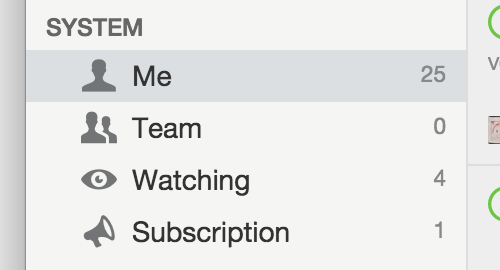 Subscription shows issues you subscribed to with Jasper. this does not connect subscription of GitHub. I will exaplain how to use the Stream for a private and for a business. 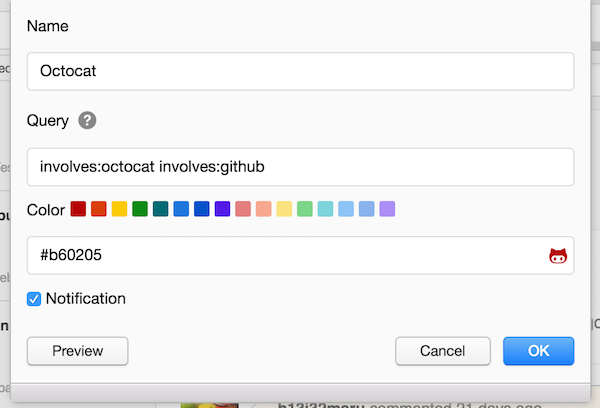 You will use github.com for private work. involves:userA means "userA created, was assigned, commented to or was mentioned in"
You will use GHE for business work. You can see WIP PRs before you are mentioned in. Next time, I will explain Filter that is sub feature of Stream.